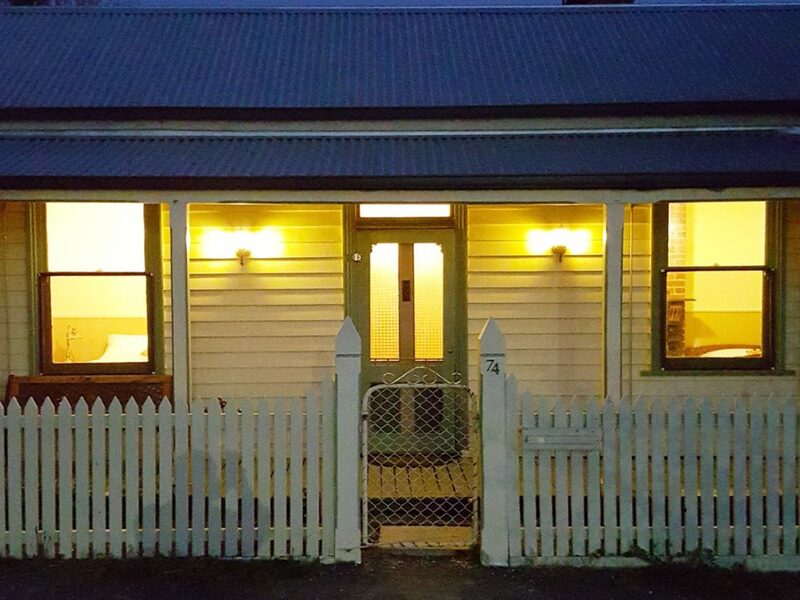 Located near the centre of historic Beechworth, Mulberry Cottage has been a popular accommodation destination for many years. Enjoy being located just a short stroll from the town centre, you can escape into a quiet and comfortable, fully self-contained house with its own secluded garden and off street parking. With three bedrooms, indoor and outdoor dining areas, covered deck, a lounge and sitting room, spacious bathroom and well-appointed kitchen, Mulberry Cottage offers perfect getaway accommodation. The house sleeps up to six guests comfortably, across the three bedrooms in the two queen size beds and two single beds. Each bedroom and the bathroom contain heaters and the central open plan lounge / dining area has a reverse cycle air conditioner to ensure your comfort. The kitchen boasts a large refrigerator / freezer, electric oven and stove-top, a microwave oven, electric frypan, kettle, toaster and all of the utensils and crockery required to prepare and serve your own meals. As the accommodation is fully self-contained, you have complete privacy during your stay. For stays longer than five nights, a full house clean is can be provided by arrangement after the fifth night for $60. The main bedroom provides a queen size bed, wardrobe and dresser as well as a heater for those cooler evenings. This room is adjacent to the children’s bedroom, located to the right of the entrance hallway. The second bedroom is located at the rear of the house adjacent to the bathroom. It is a carpeted room fitted with a queen size bed, walk in robe, dresser, bedside tables and lamps. This room has French doors opening onto the undercover deck, overlooking Spring Creek. The children’s bedroom is located to the right of the entrance hallway at the front of the house and adjacent to the master bedroom. It contains two single beds, a wardrobe, some soft toys and a small library of children’s books.